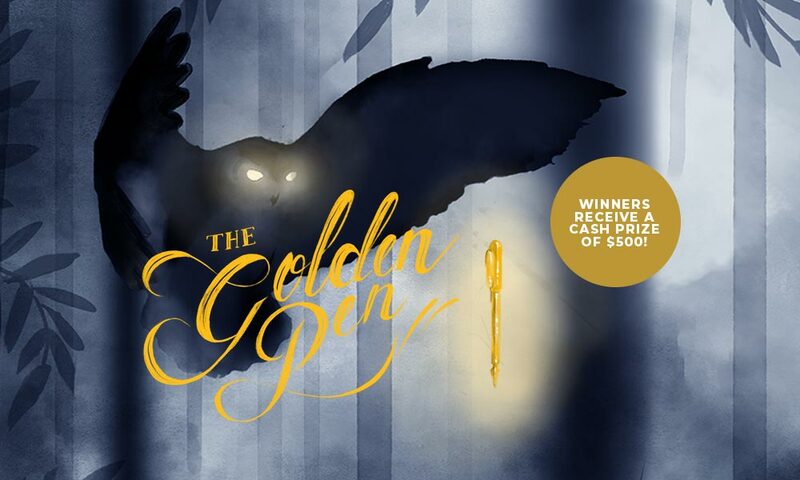 The Golden Pen Award - A chance to win fame and fortune! Calling all Scribblers - This is your chance to shine. We challenge you to take the word ‘Discovery’ and spin it into a story, poem, comic or even a graphic novel. The choice is yours. Delve deep to draw, doodle, and dance your daydreams into words. And, of course The Golden Pen Award of $500 for the winning entrant of each category. The two overall winners of The Golden Pen Award will be announced at a special ceremony during Scribblers Festival in May 2019. So, what are you waiting for? Start scribbling and amaze our panel of judges with your words and creativity. The competition is now open. Entry forms, competition details and Terms & Conditions can be found here.